Ahoy There! 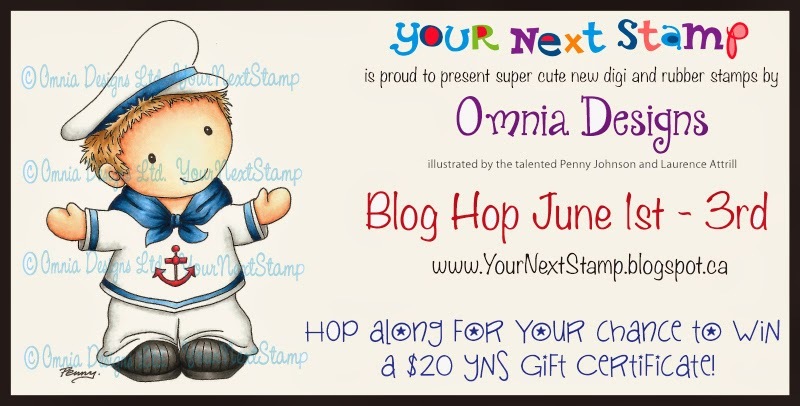 Welcome to our June Your Next Stamp Digi and Rubber Release Blog Hop!!! 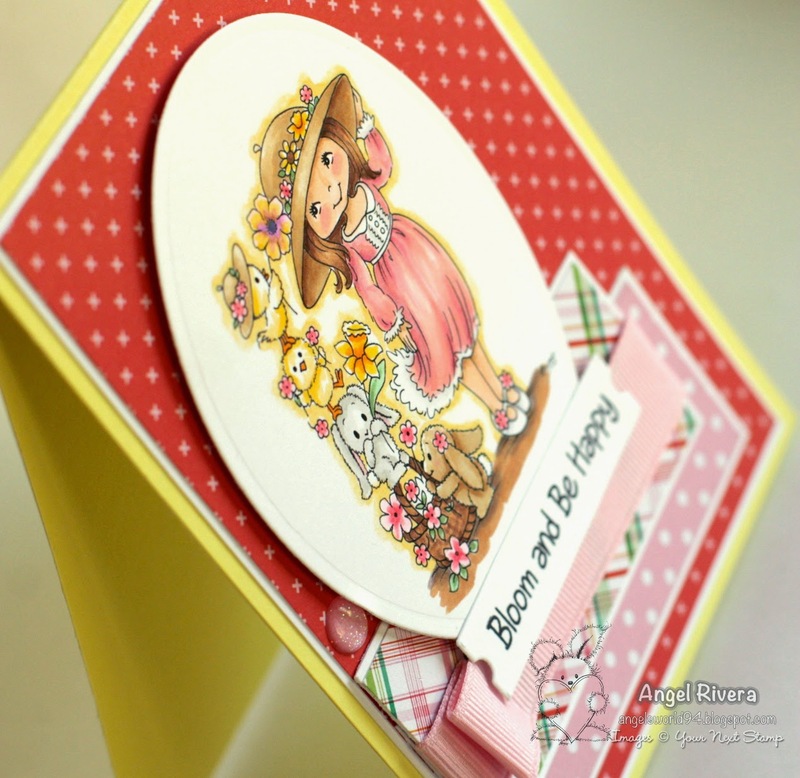 We have several new digis and stamp sets to love! Some of the new images are going to be perfect for Father's Day. 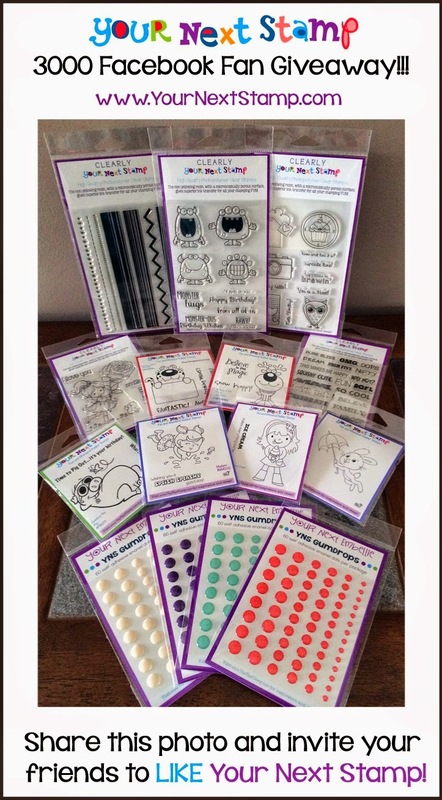 You can find all of the new goodies at the Your Next Stamp Store. If you've been hopping along, you should have come from Brianna's blog, which is where the hop begins! Make sure you hop around to all of the blogs featured in the link list located at the bottom of this post for lots of inspiration using the new products! If you leave a comment on all of the blogs, you will be entered to win a $20.00 YNS gift certificate!! 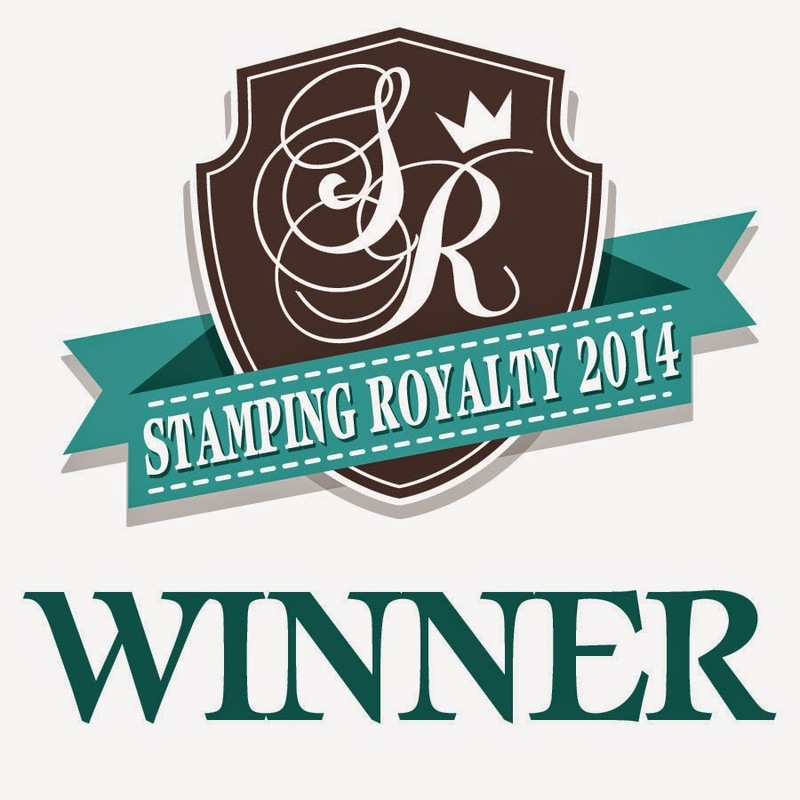 The lucky winner will be announced on the Your Next Stamp Blog June 4th. For my project I'm using the clear stamp set (yes, we have TWO NEW clear sets releasing TODAY in addition to new Digis!) called Summer Blossom Fluffy Kitten. This image is absolutely aDORable and comes with 4 sentiments! As usual, I colored it with my Copics then cut it out with die-namics. 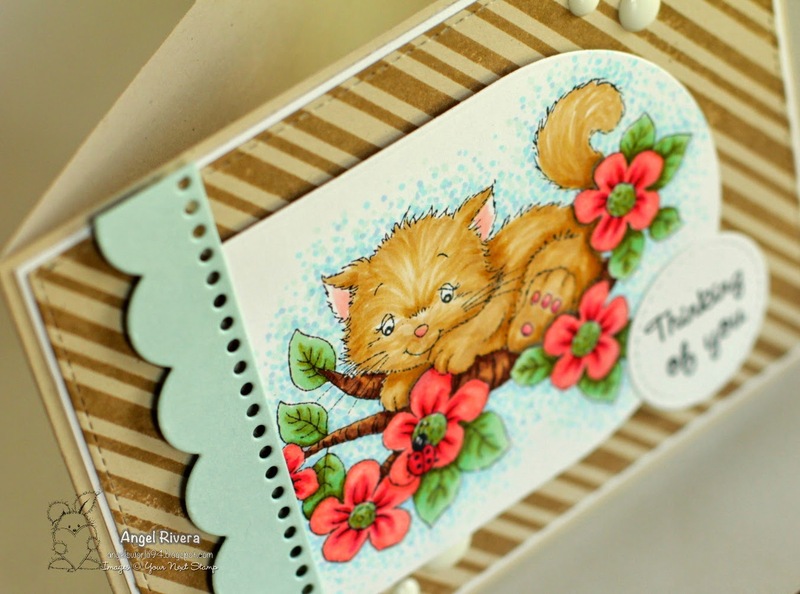 I used one of the sentiments from the set and added some white sugar gumdrops, also from YNS. I just love these gumdrops and they're ON SALE! The color combo is the CTD294. 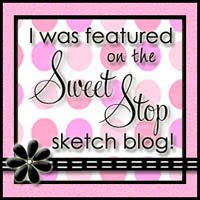 Now it's time to head on over to Sheila's blog but before you go, don't forget to leave comments along the way! YNS Fun Friday Challenge Time! Hi all! 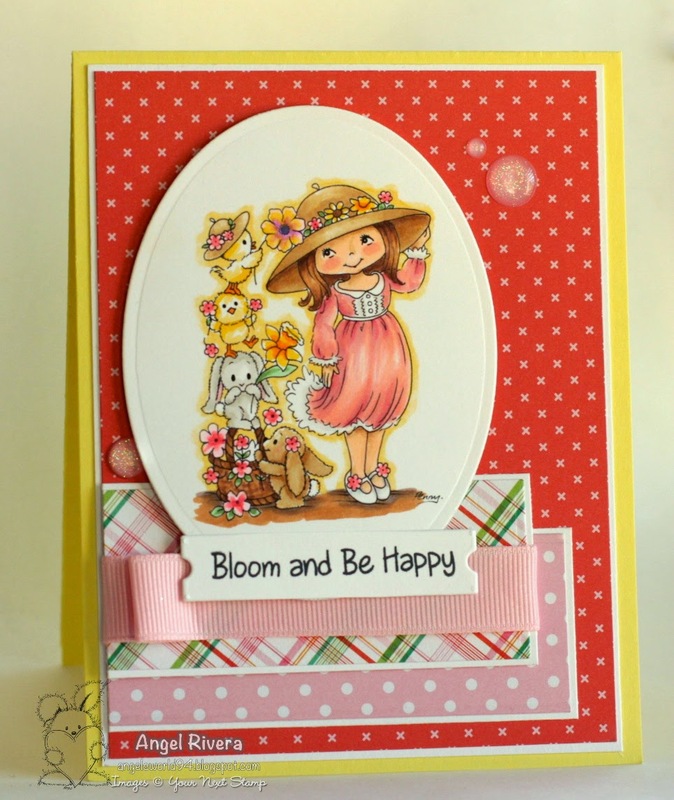 Here's my card for the May Your Next Stamp Blog Challenge. How sweet is the digi called Hat Decorating?! Love all the little animals ;) Of course, I colored it with my Copics then cut it out using my oval STAX. I added a small fold in the ribbon for extra detail, as opposed to making a bow. A few sparkly pink gumdrops add a little something extra. Did you hear what I said? Sparkly. Pink. Gumdrops. Love. Love. Love! AND THEY'RE ON SALE! Yep, we're having a huge sale at the YNS Store and some things will be retiring when the sale is over, so get what you want while you CAN! Thanks for stopping by and play along for YOUR chance to WIN! Hi all! Here's a card I made for the MFTWSC177. This was my first time breaking out the fairly new set by Birdie Brown You're Super. I love all the elements in this set! So much so that I had to get the matching die-namics ;) I used the Sun Ray die-namics to draw your eye to the sentiment. Those stars? Those are from the Blueprints 13 and are covering up boo-boos. Yep, embellishment opportunity! Love this color combo of nightshift blue, blu raspberry and lemon drop! Close up... lots o' dimension! Hi all! Yippee for Friday! 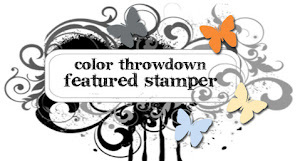 Time for another Your Next Stamp Fun Friday Challenge! I used this month's inspiration pic for my card. This Digi is called A Stamp of Friendship. I love the elegant look of this image! I colored it with Copics then cut it out using one of my die-namics. I used a few other die-namics, a little distressing and some ribbon to add some fun details. 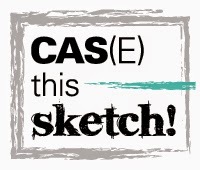 The sketch is the current DS151. Thanks for stopping by! 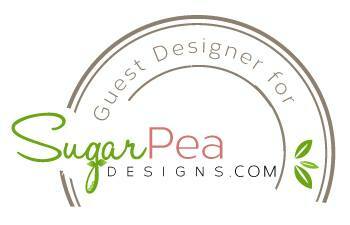 Be sure to enter for a chance to WIN! Hi all! 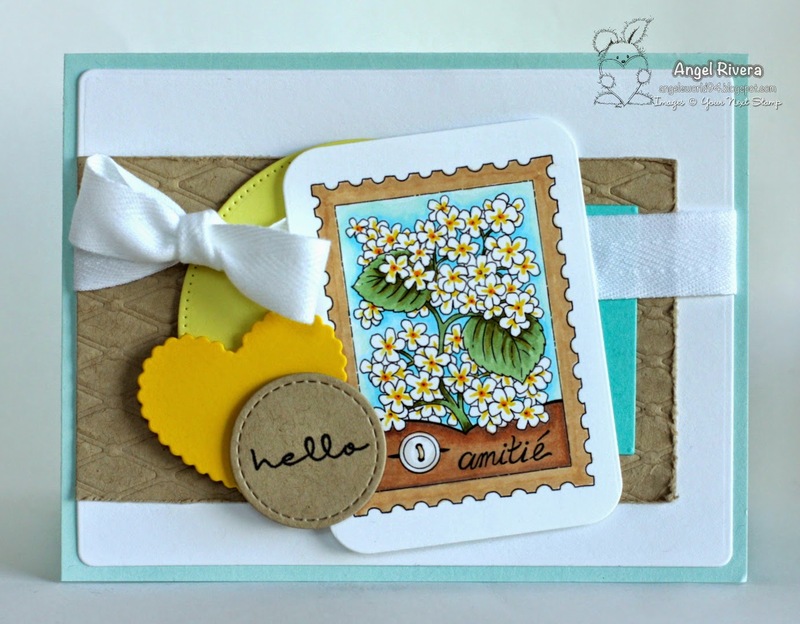 Here's a card I made for yesterday's color challenge on SCS. 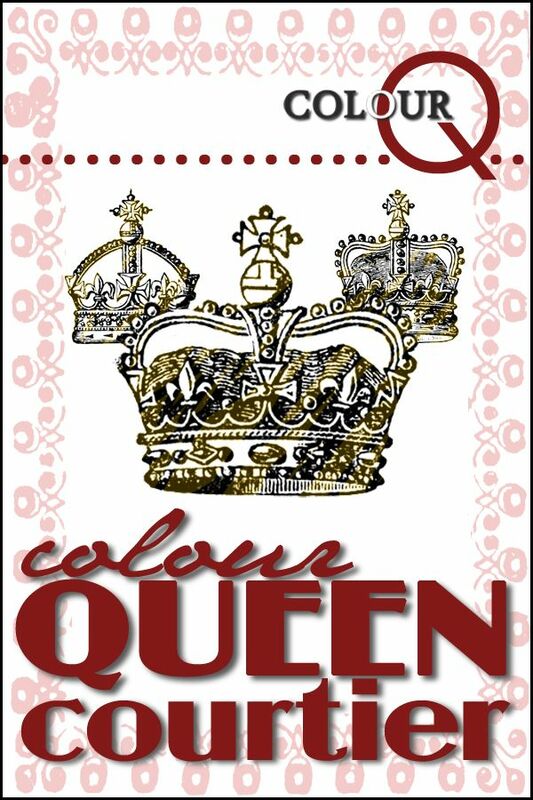 The colors we had to use were olive, daffodil (yellow) and red. I colored up this Sunny Thoughts PI with Copics. Don't you love her shiny red boots! The clouds were created by using the MFT Cloud Day stencil and some modeling paste. I love the look! I stamped the thin stripes from Striped Backgrounds on the lemon drop card stock in lemon drop ink. 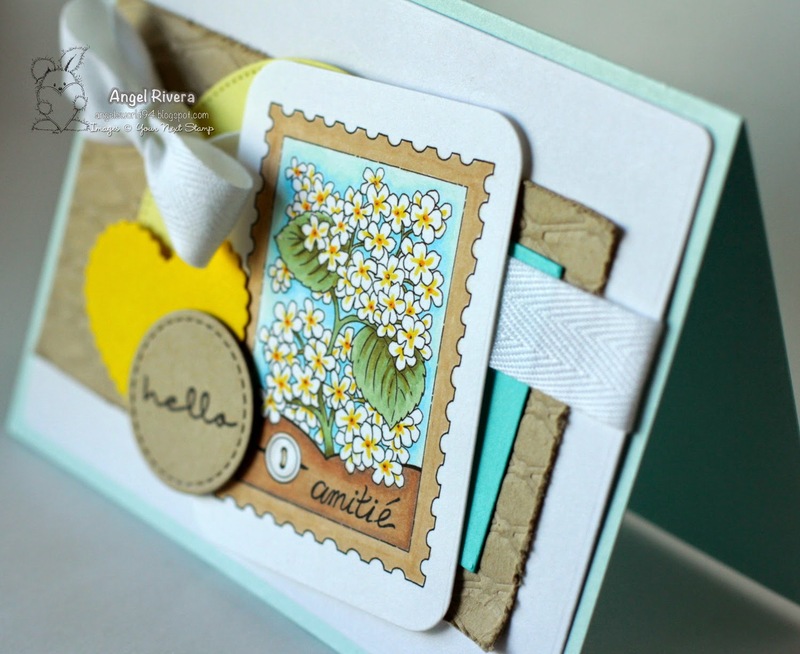 The little sun was created with a lemon drop button and one of the elements from the Botanical Beauty die-namics. The sketch is Karen's SSSC219. Hi all! We are still in the process of setting up our new house but I'm seeing the light at the end of the tunnel! I thought I'd take a break and share this card I made and submitted for the Paper Crafts & Scrapbooking Stamping Royalty Contest (that did NOT get chosen). 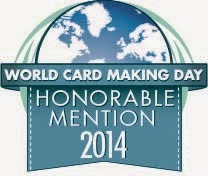 It features the LLD Friend Request stamp set and Smart Phone die-namics. 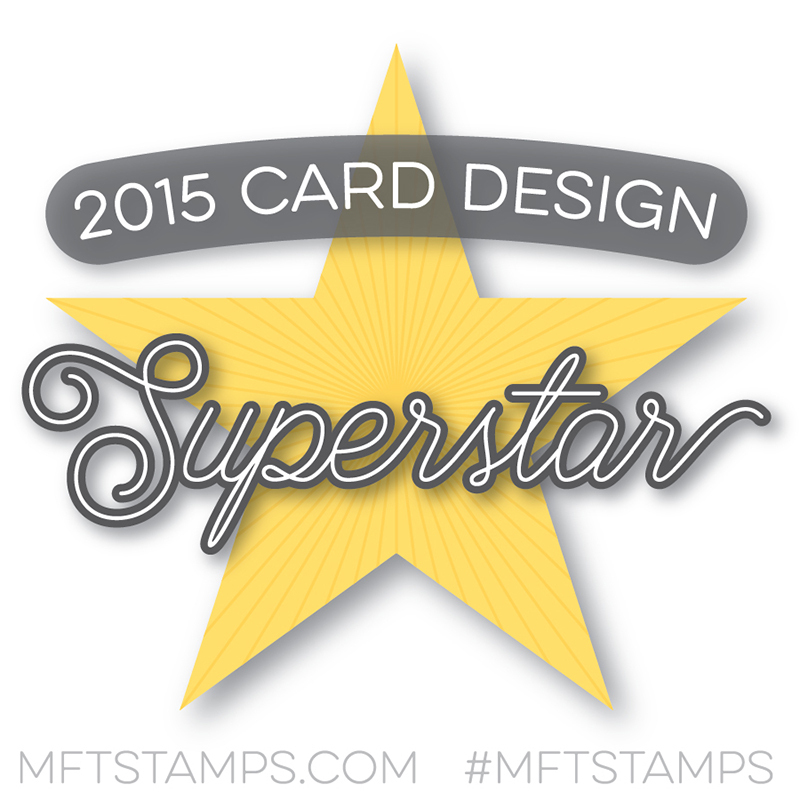 I love these Fun and trendy stamps and dies! The orange fizz polka dots were done with the Large Scale Backgrounds stamp set. I used my corner rounder for some of the edges, added a thin strip of black card stock for balance and a few enamel dots for added interest.